I love love love deviled eggs. Public School 310 is a “school” themed gastropub in Downtown Culver City. The menus look like composition books and they have “recess” aka happy hour from 4-7 during the week. 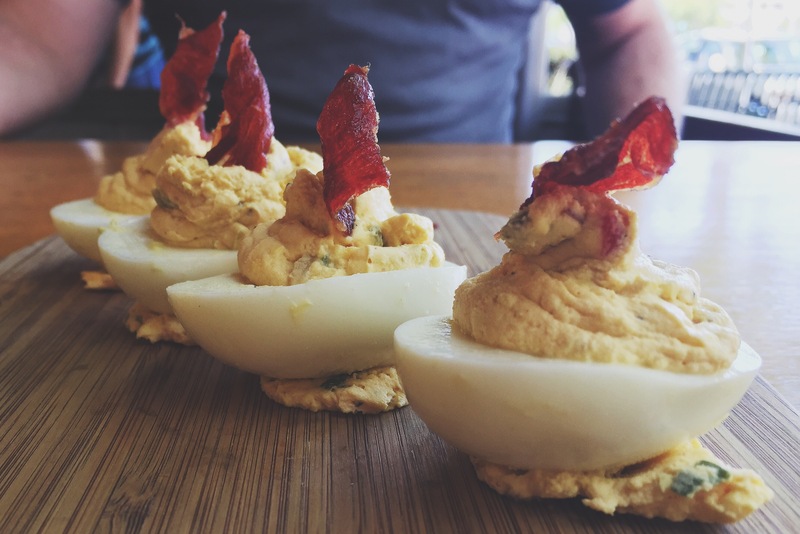 Their deviled eggs are creamy, filling and have PROSCUITTO on top. Can’t really argue with this one. Do they not look amazing?